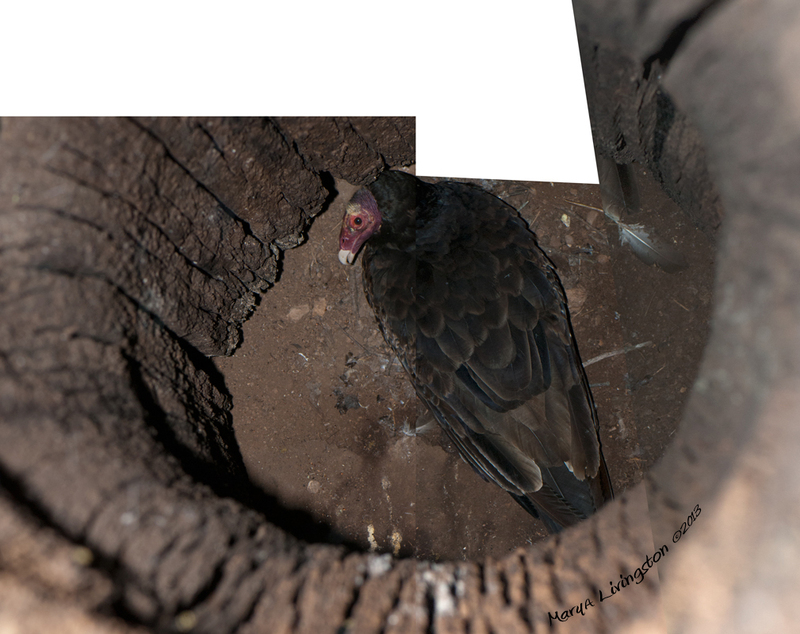 This entry was posted in My Backyard, Nature, Nature Art, Photography, Turkey Vultures and tagged bigger on the inside, nature, photography, TARDIS, turkey vulture, vulture nest by MaryALivingston. Bookmark the permalink. They are pretty secretive birds. You and your photos are a terrific resource. Thanks for the photo and post. I never see that in my entire life! So amazing!!!! The more I observe these birds, the more fascinated I become. Def. bigger on the inside:) Looking forward to chicks. Wow! Incredible! I hope you get pictures of the babies. I’ve never seen vulture babies before! Or vulture eggs. I try to give them their space. I typically just hold a camera up there and shoot, hoping to get something. This is such a cool picture. Great education I’m receiving about vultures, whom I know nothing about. Great photo. So glad you could see down there. I didn’t see a thing, just lifted the camera over the opening and shot. I preset the flash and focus. I don’t want to bother them in the nest. I don’t think I would like some giant sticking its head in my house. Interesting photo. Spotted it reblogged on Tim’s blog and was drawn by the title which hinted of Doctor Who and sure enough you ended with a TARDIS acronym – funny too. 🙂 We don’t have Turkey Vultures in the UK, apart from zoos and wildlife parks, so their lives are new to me, Surprised they nest so close to people.